Welcome to Southampton in Hampshire! If you live here or even if you are visiting we hope you'll enjoy the 'visit'. If you or a relative need more help with mobility now, please watch our video above where our founder explains how Castle Comfort Stairlifts came about; take a look at our history and then please give us a call to see how we can help you. We are the national agents for all stairlift manufacturers and will have something to suit everyone. Call us now on 023 8124 3046. OK back to Southampton, the largest city in Hampshire with a population of more than 244,000; its just 75 miles south west of London and only 19 miles from the second largest city of the county, Portsmouth. Southampton is often known by its abbreviation of Soton which makes someone from Southampton a Sotonian! Southampton is a major port and lies at the northern point of Southampton Water where the Rivers Test and Itchen converge with the River Hamble. Southampton Port has had some significant points in history. It was from Southampton that the Pilgrim Fathers set sail in The Mayflower back in the 17th century. Then in 1912, RMS Titanic sailed from Southampton. Most of the crew were Sotonians and about a third of those who died in the tragedy were from the city. 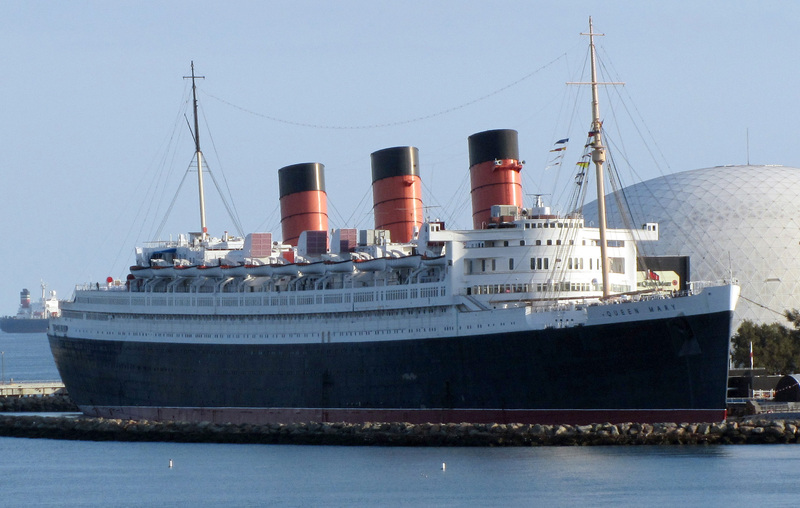 Last century Cunard's RMS Queen Mary (1936 – 1946) and RMS Queen Elizabeth (1940 – 1968) named after the Queen Mother, sailed from Southampton. They were the 'express' service for Southampton, Cherbourg and New York making two crossings a week. Today Southampton is a busy commercial port and the home of many large cruise liners sailing off around the world for Cunard and Royal Caribbean. Water is very important to Southampton. Two rivers dictate its location. The River Test flows along its western border separating it from the New Forest and the River Itchen runs through the middle of the city. It's not surprising that as a consequence there are many bridges in the area so that the rivers can be crossed. Many of them are or were toll bridges. Two of the local areas even take their names from them, Redbridge where the first bridge was built in Mediaeval times and Mansbridge where there has been a bridge since 932A.D but which is now only in use for pedestrians and cyclists. Southampton also had a thriving ship building industry which can be traced back to the times of Henry V when his war ship HMS Grace Dieu was built here. This ship – large for its time, only made one voyage and then spent most of her time anchored on the River Hamble coming to a tragic end when hit by a bolt of lightning. If feeling immobile has come like a bolt out of the blue to you, don't worry! Castle Comfort Stairlifts can help. We can supply brand new or reconditioned chair lifts to make your entire house accessible again. We can even help you with information about grants. Give your local office a call now on 023 8124 3046 – to find that dream over the rainbow! Since this time, Southampton has been a port for military embarkation for hundreds of years, during 18th century wars with the French, the Crimean War and Boer War and the main embarkation port during World War I. It also became a significant centre for the returning wounded in WWI and played a big part in WWII's invasion of Europe. In fact WWII had a real impact on Southampton as it came under heavy bombing because of the strategic importance of the port and the city's industrial area. Southampton handled military cargo for Allied forces supplies after D-Day further making it a key target for German bombing raids right up until late 1944. More than 600 Sotonians lost their lives in the raid and a further 2,000 suffered injuries. Many of Southampton's historic buildings were destroyed too. The port and docks since their introduction in Victoria's times has always been a major employer in the city. The Cruise ship business in its glory days between the two World Wars transported most of the passenger traffic in the UK. It's also the largest freight port and the fourth largest UK port by tonnage. Southampton's docks and industry remain in the inner city unlike many of the country's other ports. The docks have seen much development too – a local marina and entertainment complex at Ocean Village. Southampton is also home to the headquarters of the Maritime and Coastguard Agency and the Marine Accident Investigation branch for the Department of Transport. We hope you've enjoyed your trip around Southampton docks and its history. Remember if we can help your 'transport' in the home, please give your local stairlifts office a call for more information about our stairlifts, wherever you are in the country. A Castle Comfort professional will be happy to help. Call us on 023 8124 3046. Indeed 'Happy' and not just in Southampton or Hampshire. We have 40 regional areas covered in the UK for our range of new and reconditioned stairlifts at prices that always impress. Thanks for commenting on our stairlift blog - it makes us 'happy' too!